I am still recovering from Tedstock. 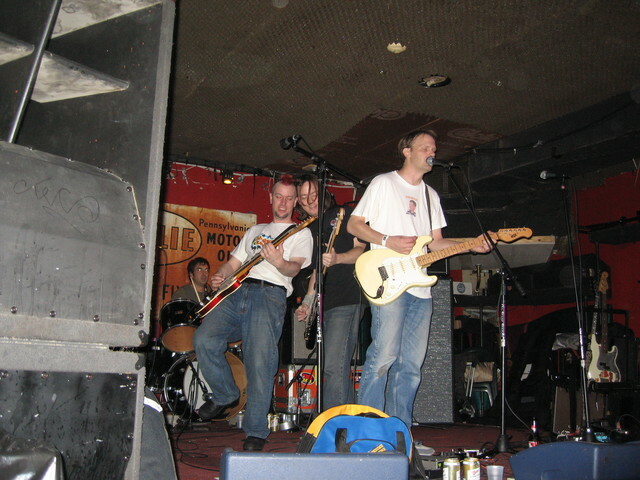 The Four Fellas opened the show at the Trash Bar and the rocking didn’t stop until the wee hours of Monday morning. 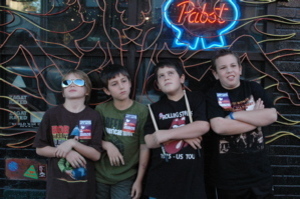 I didn’t make it until the wee hours and left after #12 Rock and Roll Noodle finished their set around midnight. It was a joyous occasion celebrating 40 years of Ted, rock and roll, and they raised some money for autism awareness to boot. The first was watching Ted and the Four Fellas do an excellent rendition of the Ramones’ Sheena Is A Punk Rocker after just learning the song on Friday. 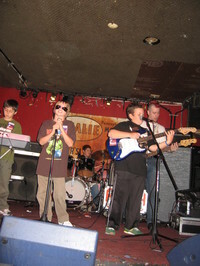 These kids had never played a real venue before and they were loving it big time. The other highlight for me was watching Ted’s band, #12 Rock and Roll Noodle, blast through a ten song set in about 30 minutes. They gave the Ramones a run for thier money with the rapid fire song sequence. Chris, Paul, Rob, and Ted were in great form last night. I personally enjoyed Pop Tart, the Velvets cover (There She Goes Again), and Peace Chicken the best, but they were all great. And when their buddy (sorry forgot his name) got up on stage to jam with them, things got even crazier. It was certainly the most rockin’ 40th birthday party I’ve been to and I feel about 80 years old today as a result.